When I started this series, my aim was to distil my thoughts on education through the prism of a single book: which one book, for me, held the key to that particular aspect? For curriculum, it was Cultural Literacy; for assessment, Make it Stick; for teaching, Teach Like a Champion, and for school leadership, Leverage Leadership. 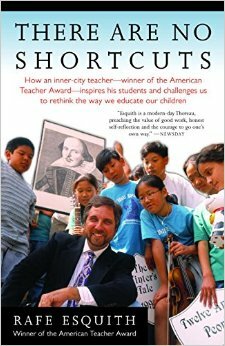 For me, the book that most exemplifies my ethos of education is Rafe Esquith’s There are no shortcuts. 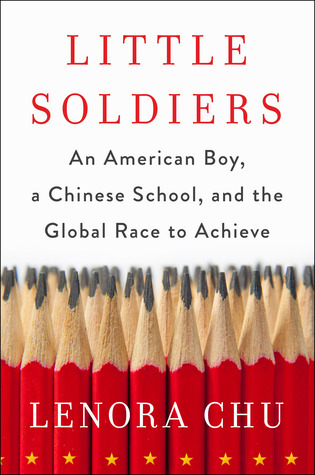 Esquith’s ethos, embodied in the title, was adopted by Mike Feinberg and David Levin shortly before they launched their ground-breaking charter school, KIPP; now a chain boasting significant results for poor children in the USA. KIPP in turn went on to inspire other schools, including King Solomon Academy in West London. Esquith’s legacy is an extraordinary one. If fifth-grade students are reading at a first-grade level, placing first-grade books in front of them will never help them catch up with the students across town who not only are in higher-achieving classrooms but have parents and tutors helping them every step of the way. Someone has to tell children if they are behind, and lay out a plan of attack to help them catch up. If this means staying after school or taking extra hours sitting with the child and reading, so be it. There are no excuses. The second strapline of Esquith’s classroom, alongside “there are no shortcuts” is “be nice, work hard”; KIPP’s founders inverted this, and the founders of Michaela Community School in Wembley altered it to “work hard, be kind.” The message is simple, enduring and essential. Much of this book is dedicated to examples of Esquith going above and beyond; extra classes, summer classes and the all-important field trips: “as a teacher of children from economically disadvantaged backgrounds, I came to understand that my students would work harder for a better life if they saw the life they were working for.” Esquith details raising funds for these trips which often include travel to a different state by plane and an overnight stay, underwritten by awe-inspiring fund-raising methods. Now, trips are often costly, both in terms of time, money and energy; they frequently, at secondary schools, lead to missed learning time. But I do think Esquith has something here, and I’ll be writing over the next few weeks about field trips and why I think they need to be prioritized despite all of these drawbacks. The learning is the thing, of course, and the ethos behind the learning is relentless progress, defying the odds. But ethos is also nurtured by those aspects of education which cause students to feel that emotional connection, that energy and excitement, and for some this is best achieved outside a classroom setting. Of course, this book comes with a major caveat: Esquith is exceptional; exceptional in his ability and exceptional in his commitment. Some people go into teaching to be missionaries; most do not. Some people submerge their lives to the lives of their students; most do not. Early in my career, I sought to emulate Esquith in my priorities and in my dedication. But I’m not him. I’m a better teacher when I take time out to read fun books, go on holiday, visit a gym, sneak out of work early once in a blue moon to meet friends or go to the theatre, take an entire weekend off to do nothing but watch an entire series of something rubbish on Netflix. I’d like it if this was not true, but it is. I’m flawed. But Esquith, I’ve come to realize, isn’t the model; Esquith is the touchstone. He is the bar we all strive to reach. So few of us will make it. I know I won’t. But in my best moments, his is the ethos that flows through me; it my lowest moments, his are the words I turn to for the gold standard of caring and commitment. This is not a book for the practicalities of teaching and ethos. This is a book for inspiration. In my last post, I outlined what I believed to be the foundational concepts that must underpin a school’s curriculum, using E.D. Hirsch’s Cultural Literacy as the one text I felt most clearly displayed what a great curriculum should be. Of course, it is almost impossible to create a curriculum without simultaneously thinking about assessment: it is all very well to teach students great stuff, but if they immediately forget it all, or show you that they’ve understood none of it by the end of your teaching, you might as well have taught marbles. 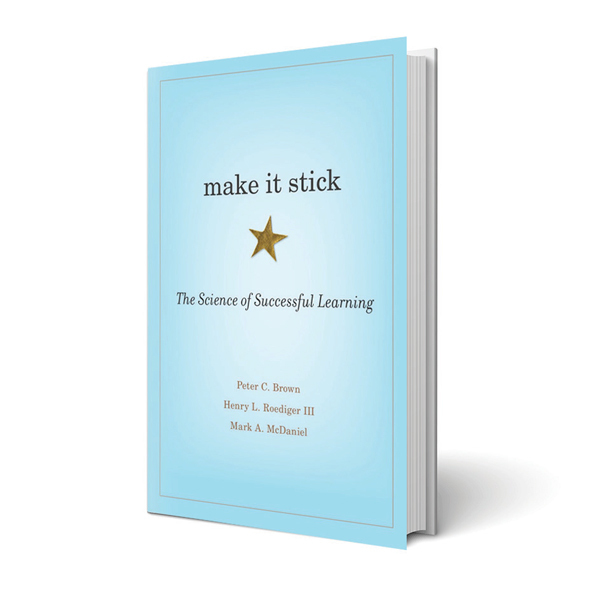 The one book that has truly changed my view on assessment is Make it Stick by Brown, Roediger and McDaniel. Prior to reading this book, I too believed in the value of re-reading, highlighting, and testing students’ knowledge and understanding using extended essay after extended essay, running the risk of breaking my own will to carry on teaching due to having to endlessly plough through immense paragraphs riddled with small misconceptions and tiny errors, all of which I would painstakingly correct, before trying to rationalise each error into a single “target for improvement.” Then, weeks, months, years after I’d taught students, what did they recall of what I had taught? Too, too little. I want to make a clear distinction between feedback and assessment. I define feedback as qualitative commentary, and assessment as quantifiable, measurable snapshots showing a teacher what their students have and have not understood. Both have their place, but my feeling is we have over-emphasised the former to the detriment of both student learning and teacher well-being. The authors note that: “One of the best habits a learner can instill in herself is regular self-quizzing to recalibrate her understanding of what she does and does not know.” Joe Kirby has brilliantly explained how this might work in practice over the long term for individual students here. In lessons, I would suggest, we need to not only assess what students have retained in order to know what to teach them, but also to model what this kind of self-quizzing looks like and enable them to practise prior to doing it alone. And when should this quizzing occur? There frankly does not seem to be a bad time to quiz, according to this book. Students do better in the long-term if they have pre-quizzes (even if they get everything wrong, as “unsuccessful attempts to solve a problem encourage deep processing of the answer when it is later supplied, creating a fertile ground for its encoding”), immediate quizzes (“in 2010 the New York Times reported on a scientific study that showed that students who read a passage of text and then took a test asking them to recall what they had read retained an astonishing 50 percent more of the information a week later than students who had not been tested”) and quizzes after partial forgetting has occurred. The latter is of particular importance: “When retrieval practice is spaced, allowing some forgetting to occur between tests, it leads to stronger long-term retention than when it is massed.” The most helpful quizzing, they suggest, takes place long enough after learning that the quiz isn’t “mindless repetition” but not so long that “retrieval essentially involves relearning the material”. Students understand why quizzing is beneficial – they buy into the idea of frequent quizzes when they understand the benefits it will have for their long term retention of key ideas. Quiz questions are thoughtful and targeted to the specific ideas students need to know, isolating individual facts or key pieces of information. Wrong answers are corrected immediately to ensure students do not leave your lesson carrying misconceptions. The stakes are low – there is no need for any of this to stress students out. This, along with emphasising the learning benefits also tends to preclude cheating. Taking the advice of Make it Stick, schools would do well to build frequent, low-stakes quizzes into their day-to-day teaching. High-stakes, long-answer assessments should be less frequent, partly because the feedback teachers can give on these will not be as accurate, as students will be displaying a much larger breadth of skills and knowledge. Short, frequent quizzes allow teachers to break learning down into its core components, and isolate exactly where students are weakest, and then teach to that weakness. They should also reduce the need for overly extensive feedback on long-answer questions, thus reducing teachers’ workload significantly. 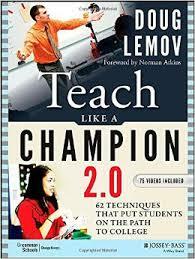 My next post will explore teaching, and one book that I will suggest provides the clearest guidance. There are countless books on education. Some will entirely change your outlook and thinking, revolutionising what happens in your classroom and in our schools. Some will be a complete and utter waste of your time. It is with this in mind that I propose to put forward just one book for some of what I see as the key aspects of education. 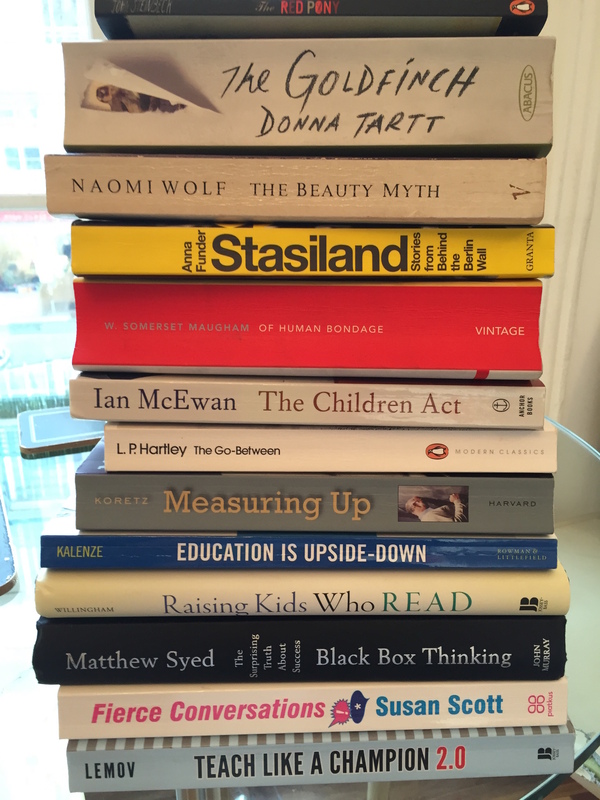 Over the coming weeks and months, I will be exploring one book for each of the following aspects: curriculum, assessment, teaching, school leadership and school ethos. It has been easy to pick just one book for some of these categories, and devilishly difficult for others. Of course, my choice will be a personal one, informed by my own personal view of education, and I accept that it may not be a view all share. Hopefully, those who disagree with my choices will put forward alternative single wondrous tomes. We are, I think, always honing, always refining our thinking. I’m beginning with curriculum. I take curriculum to mean the stuff a school teaches its children. Taking the “what” before the “how” is incredibly important to me, and is one of the defining aspects of the writer I have chosen. 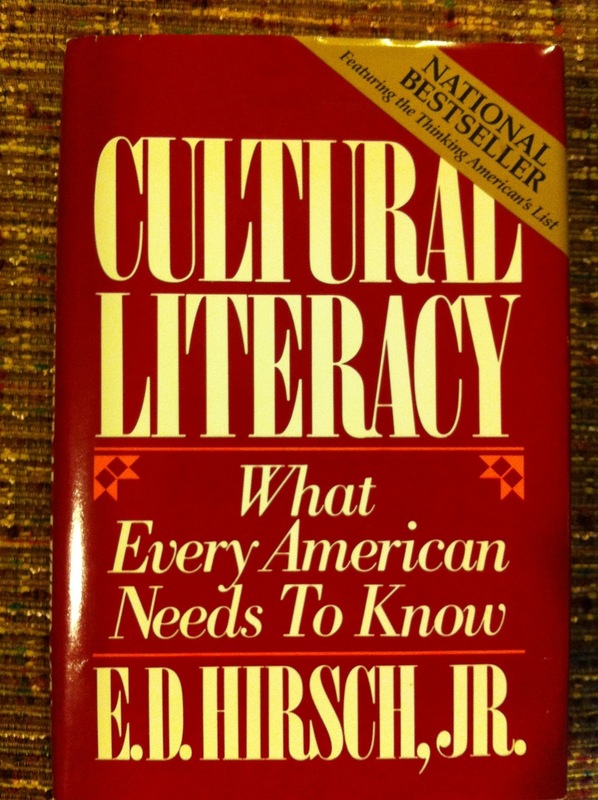 To be culturally literate, according to Hirsch, is “to possess the basic information needed to thrive in the modern world.” In our everyday interchanges, even in reading a daily newspaper, our comprehension and therefore ability to interact with, question and enact change relies on our background knowledge. The broader our background knowledge, and the more honed to the important “stuff” of the world, the more effective we will be at understanding and communicating. Contrary to some dissenters, Hirsch reminds us, this “literate” culture “is not the property of any group or class.” I saw this on a small scale when visiting the first school I worked in, in South East London. There, at a fabulous concert in aid of a school trip to Malawi, I saw the children I used to teach uproarious in their enjoyment of classical music, hip-hop and spiritual songs, among others. Just as these children could enjoy every type of music without seeming aware of its cultural baggage, so we can anticipate children will enjoy and be interested in all different strands of literature, history, art, politics. But clearly, analysing Shakespeare play is always better than analysing an advert. His comment “in each classroom somebody always does decide what material our children will be storing in their minds in the name of skills acquisition. All too often it is content for which our children will have no use in the future” rang true to me. I have spent too many lessons analysing language in simple advertisements and leaflets with 16 year olds in the run up to an English Language exam that did not teach a thing. This is time wasted, and for the children I teach this is an atrocity. The new, strengthened curricula in English at KS4 at least provide an impetus to teach far, far beyond such trivialities. Selection: of core knowledge: what are the ideas, concepts and facts students need to know in each subject in order to be able to access higher order ideas in that subject? Sequence: your curriculum sequence must build on prior learning; knowledge builds on knowledge. Revisiting: within this curriculum, there is space to revisit content and concepts, to strengthen them and aid learning. Coherence: a strong curriculum dovetails with other subjects where suitable, so that the overarching schema over the course of a year coheres. Challenge: the curriculum contains high quality, challenging stuff that is interesting and worth learning for all young people. It is nearly impossible to write about curriculum alone; any construction of a curriculum requires simultaneous consideration of how we assess what has been learned, understood and retained. My next post will be exploring just one book on assessment.